Secunia is reporting that Firefox is the most vulnerable web browser that is widely adopted on the market today. Mozilla has chosen to respond to the findings here. 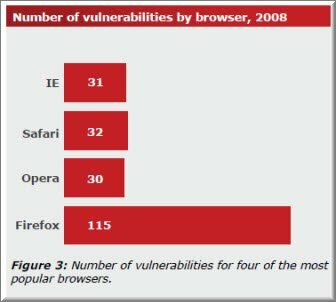 Firefox was percieved to be the most web secure browser. Looks like perceptions do vary from facts.